If you have been looking for a tough, compact flipper folder then look no further than the Jurassic model from Rick Hinderer Knives, this model comes equipped with a textured black G-10 handle and a stonewashed spear point blade in American Made CPM S35VN stainless steel. 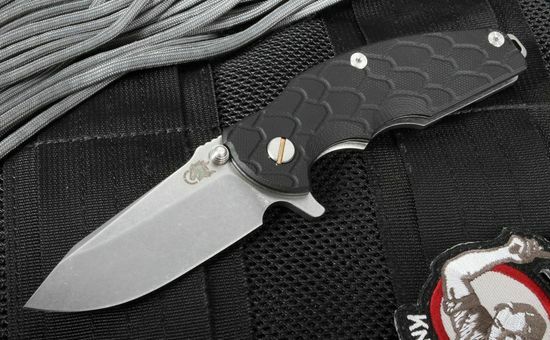 The Hinderer Jurassic offers an aggressive appearance characterized by it curved handle profile, low blade angle, and a scale pattern G-10 handle. 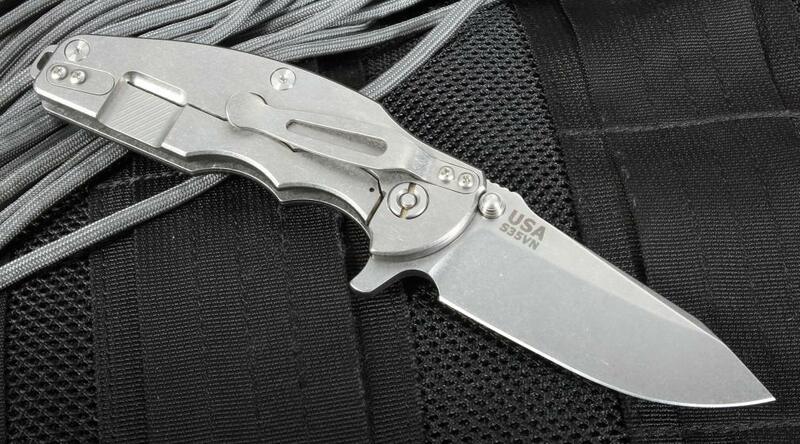 The Rick Hinderer Jurassic features a stone washed titanium frame lock, reversible titanium pocket clip, HMBS spacer, and a Hinderer designed lock bar stabilizer. 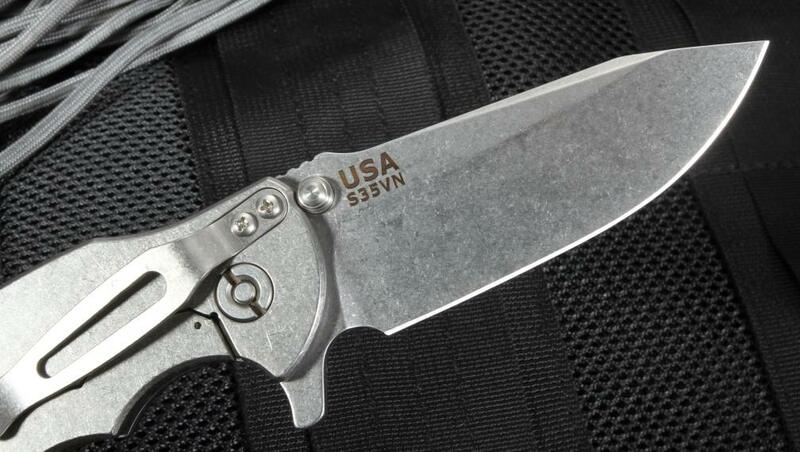 The Jurassic is perfect sized every day carry knife that will hold up to can cutting task. The handle contour fits tight in the palm with a double choil for improved control. 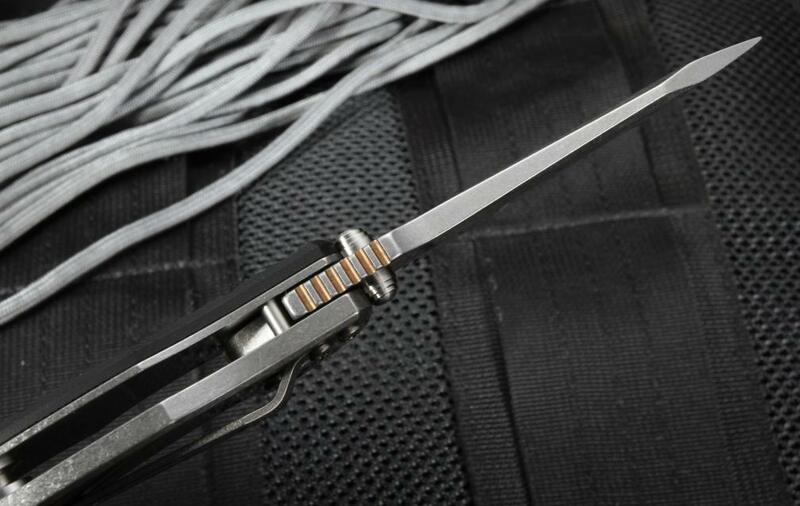 The Jurassic has dual thumb studs as well as a flipper for easy right or left-hand opening. Flipper also serves as an index finger guard in the open position. 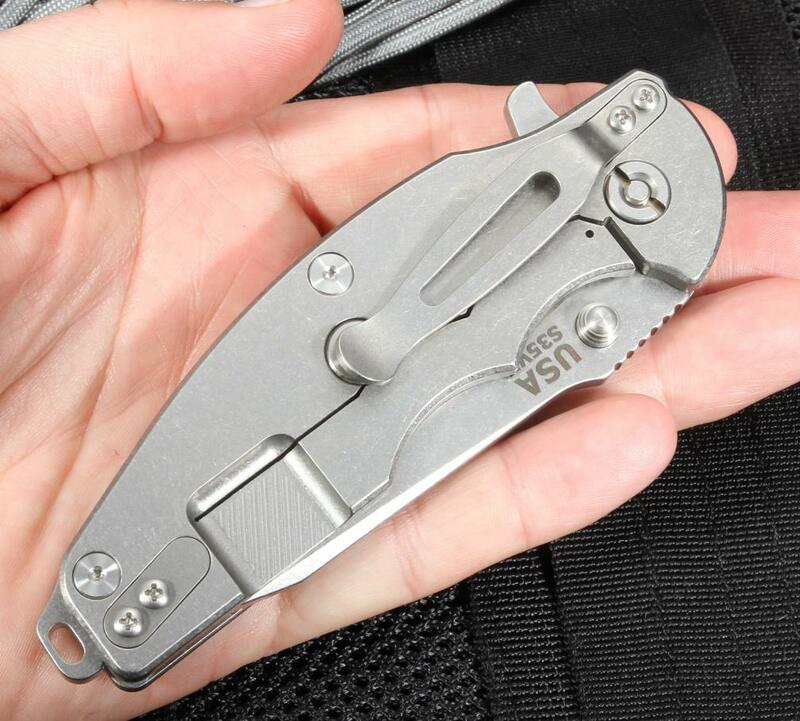 Lanyard hole in the extended titanium spacer. Made with pride in the U.S.A.